When You Don't Know Where You Should go For a Vacation, Head to Kasol. Kasol is a beautiful place hidden away in the remote parts of Himachal. Situated on the banks of Parvati Valley it is surrounded by pretty coniferous forests, crystal clear streams and snow-capped mountains. 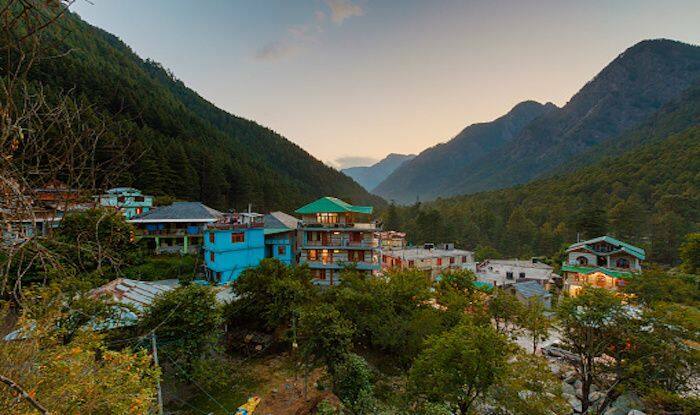 Resplendent in natural beauty, Kasol is an ideal hub to de-stress for backpackers, trekkers and nature lovers. It is also home to a deep-rooted local culture of pot and hippies huddle together and share stories from places far and wide. You can explore Manikaran Sahib – a huge Gurudwara tucked between imposing hills and a fierce Beas, about 6km from Kasol. The best way to get there is to hike. Interestingly, inside the shrine, there are pictures of Hindu Gods, alongside Jesus and Sikh Gurus. The message is clear; everyone is welcome here and all faiths are respected. If you want to walk some more in this beautiful suburb, head to Malana or Tosh. Malana is famous for its distinct culture and Jamlu Devta Temple. The people of this quiet hamlet are said to have descended from the lineage of Alexander the Great, and like to live in complete isolation. Tosh, is a village with plenty of cafes; great Israeli and European food and an ideal ambience to relax. The village is located on a hillside overlooking a river and a waterfall. When in Kasol, you must undertake a trek to Kheer Ganga. It’s a 9km, four-hour steep climb on a narrow trail. When you finally reach the lush green meadow, the geothermal spring there is sure to take your breath away. Try and stay the night at Kheer Ganga, trekking to and fro the same day might turn out to be a bit taxing for you. Kasol has a great local flea market where you can pick souvenirs for family and friends. You’ll find items like semi-precious stones, pendants and other trinkets. Quirky, printed T-shirts abound here; the best ones are those with Bob Marley and Lord Shiva. Winter clothing like pullovers, caps and coats can also be bought at affordable rates. Travelling to Kasol from Delhi could take anything between 8 to 14 hours depending on your mode of transportation. If you take a bus from Delhi, you will be dropped at Bhuntar from where you can take a local bus or book a cab to Kasol.